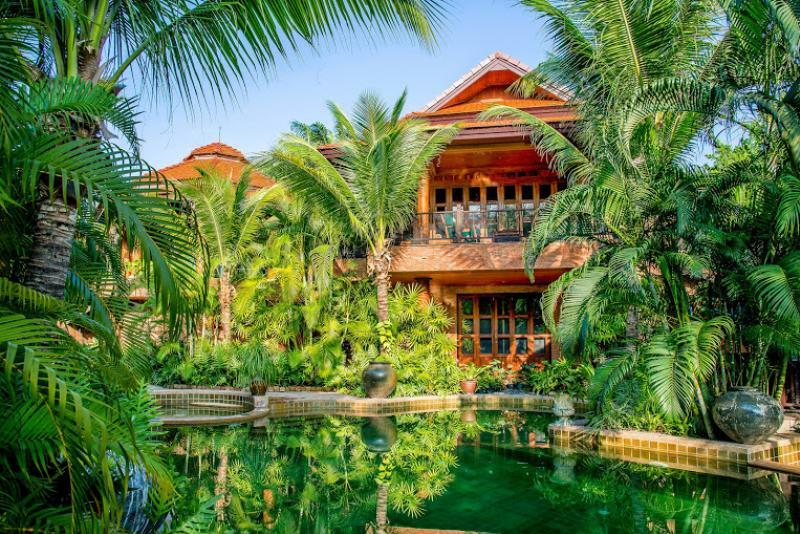 This exotic Thai-Bali style villa, situated on Palm Hills Golf Resort, is probably the most spectacular property in the Hua Hin region. While being situated directly on the golf course, there is just a 10-minute drive to the city for rich shopping and dining. 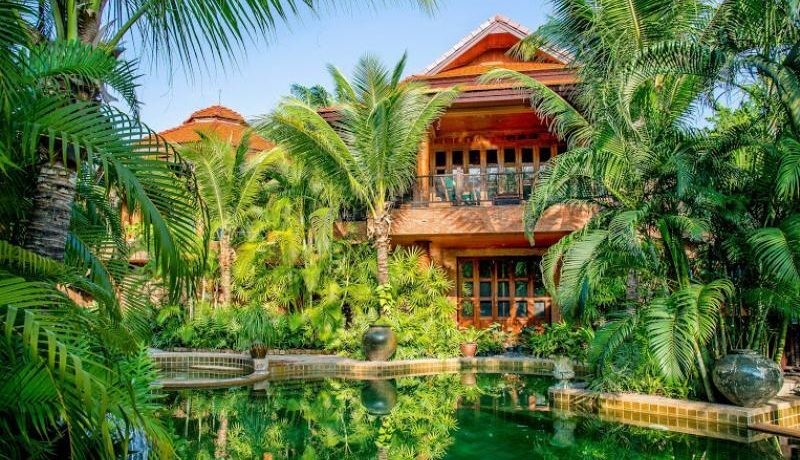 The villa has several pavilions connected by covered walkways through lawns and gardens, and featuring an open plan living area, separate dining Sala all in the nature of Bali and designed for inside and outside living along with a fully equipped modern kitchen. 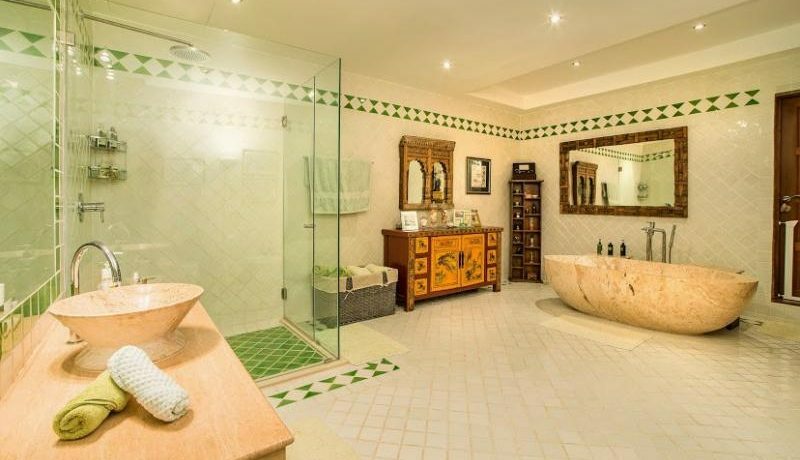 In addition, 6 spacious bedrooms, all with en-suite bathrooms. 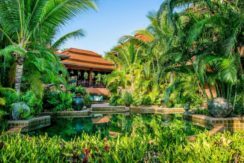 There is plenty of outdoor space in the beautiful tropical garden- and pool areas for relaxation and dining. 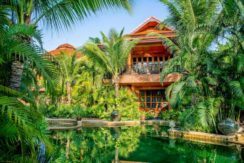 All rooms are tastefully fitted with Thai and Balinese furniture and artwork. 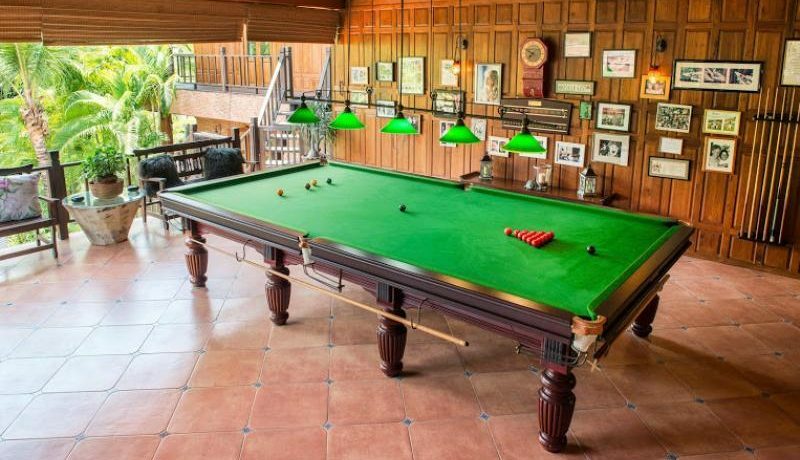 In addition, you’ll find facilities such as a well-equipped gym, steam room, large swimming pool, built in BBQ area and a full sized snooker table. Moreover, family membership to the golf course comes with the house. Click to view a picture gallery of Palm Hills facilities. Visit website for detail at www.dansiam-property.com/4037465 and call for viewing (+66(0)81-860-9611 (English/Thai) /+66(0)81-820-3496 (English/Scandinavian)). 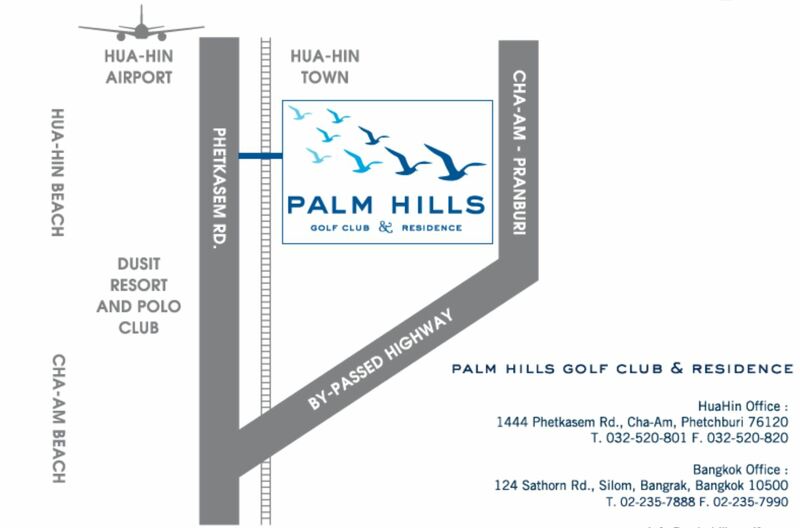 o Palm Hills Golf Course and Sports Club within 500 meter.